The Zenfone 5 was first unveiled alongside the budget Zenfone Lite and the premium Zenfone 5Z back at MWC 2018. Interestingly the middle diddle Zenfone 5 device is identical to the premium 5Z version except for the processor, RAM and storage. In other words, if you like the 5Z and a Qualcomm Snapdragon 845 featuring up to 8GB RAM and 256GB storage sounds like overkill for your daily driver, you can save lots of cash by opting for the Qualcomm Snapdragon 636 powered 4GB RAM, 64GB storage Zenfone 5. 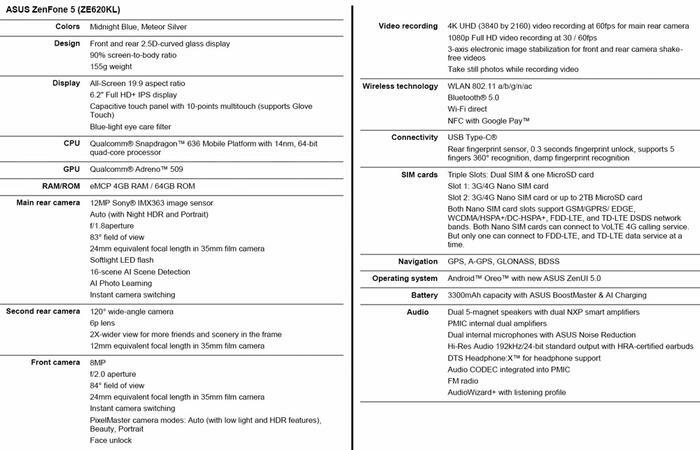 You still get to enjoy the premium build, expansive screen area, the capable OIS and AI enhanced main camera, and immersive audio for example. Key tech specs of the ZenFone 5 are shown in the chart above. Click to zoom image. 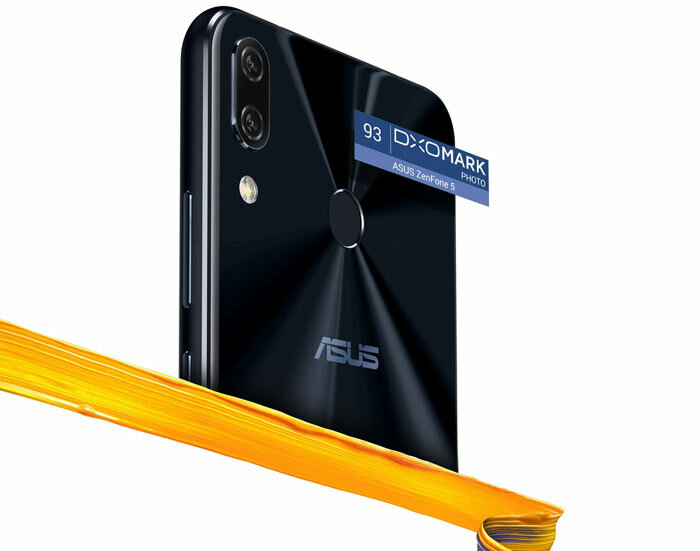 As mentioned in the headline this new entrant to the UK mid-range smartphone market is available to pre-order now with a special offer direct from Asus UK. If you order before 8th July you can secure a £50 discount with the code ZF50. My daughter bought a Zenfone 5 on import from Taiwan a few weeks ago and is very pleased with the device as an upgrade to an aging Samsung Galaxy S6. If you want to try one for yourself the Zenfone 5 will appear in Carphone Warehouse and John Lewis "shortly", we were told in an email today. However, elsewhere in the email it says that devices will be on retailer shelves from 9th July - that's after the end of the £50 discount period. I plug my phone in at work so the NHS are now paying for the mining viruses. Friends don't let friends buy phones with holes in the screen! Another awful looking modern phone, shock horror. Got to be nearly time for this fad to be over, right? It was simply wearing out. The charging port had become unreliable and battery life was noticeably degraded. Additionally, the S6 was removed from Samsung's update support schedule back in April.